Marshfield, MA — New England Burials At Sea, (NEBAS) has recently launched an additional “burial at sea air scattering” service to help bring closure to families who wish to honor their loved ones with final flight ash scattering by plane over the sea. New England Burials At Sea LLC, (NEBAS) offers burial at sea scatterings by plane or ocean vessel, eco-friendly full body sea burials and pet burial at sea. The vast majority of cremations may never have a proper, dignified “celebration of life” burial ceremony. 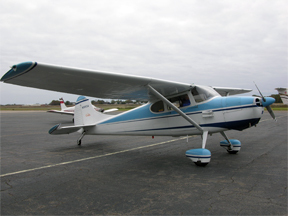 Many client families have either a commercial, military or sport enthusiast pilot in the family who loved flying. 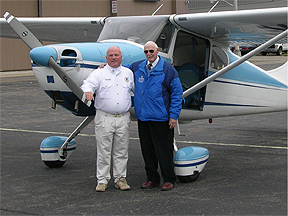 Company founder Captain Brad White recently announced this new service air scattering now offered at NEBAS – The New England Air Scattering™ – a memorial ash scattering by a specially fitted 1953 high wing Cessna airplane piloted by a decorated Koren war pilot Ev Cassagneres of Connecticut with over 65 years of flight experience and who personally knew Charles Lindbergh and his family. Pilot Cassagneres is also a well respected and published author on the topic. NEBAS burials at sea are legal, approved per U.S. Coast Guard (USCG) and EPA regulations and are easy to plan. For ash scatterings, NEBAS voyages out three nautical miles and the family scatters their loved ones cremated remains with a customized sea tribute service and returns to port all within about three hours. All ash scattering rates include an official parchment sea and or air burial certificate marking the latitude and longitude of a loved ones’ final resting place and start at $495.00. Air scatterings are more. 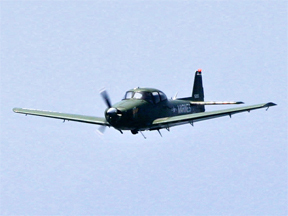 Passenger-ready vintage military aircraft lets people watch the ash scattering from the air along side the aircraft. NEBAS is the best known company in the nation for sea burials that uses only properly insured and licensed captains with current USCG certifications that only employ clean, safe and up to date vessels from Maine to Miami as well as San Francisco to San Diego. Vessels vary from vintage Maine down east style to sport or luxury level vessels accommodating up to 400 people. With a team that has over one hundred years of combined flying experience, White is proud to announce these new affiliations to continue the significant growth rate of the company by further expanding NEBAS services. New England Burials At Sea LLC, (NEBAS) offers burial at sea scatterings by plane or ocean vessel, eco-friendly full body sea burials and pet burial at sea. The company has been serving families from Maine to Miami since 2006. NEBAS is recognized by the EPA, US Navy, U.S.C.G. and many funeral homes and crematories. Burial at Sea Services offered include: Private Ash Scattering Cruises with family; Unattended Ash Scattering –Captain’s service; Full Body Ocean Burials –With family; Ceremonies for Pets’ Ashes as well as Memorial Cruises to the same coordinates on future anniversaries. Through their Belated Burial at Sea (www.belatedburial.com), NEBAS helps bring closure to families who wish to honor their loved ones with a memorial ash scattering that pays tribute to a loved one for whom a family may not have already held a committal service. NEBAS offers a unique Concierge Program specifically for families traveling to the New England area for NEBAS services. The company has partnered with the pet friendly Fairmont Battery Wharf Hotel, Rowe’s Wharf Water Transport Company, Winston Flowers and CityView Trolley company of Boston to help ensure NEBAS guests are as comfortable as possible during their time of grief and mourning – and one simple phone call handles it all. The company also designed and manufactures in MA the Atlantic Sea burial Shroud®. For more information or images, visit https://www.NewEnglandBurialsAtSea.com, or call toll free New England Burials At Sea, Capt Brad White at 877-897-7700 or direct at (781) 834-7500, email OceanBurial@aol.com. ©2005-2012 New England Burials at Sea LLC, All rights reserved. Patents pending.